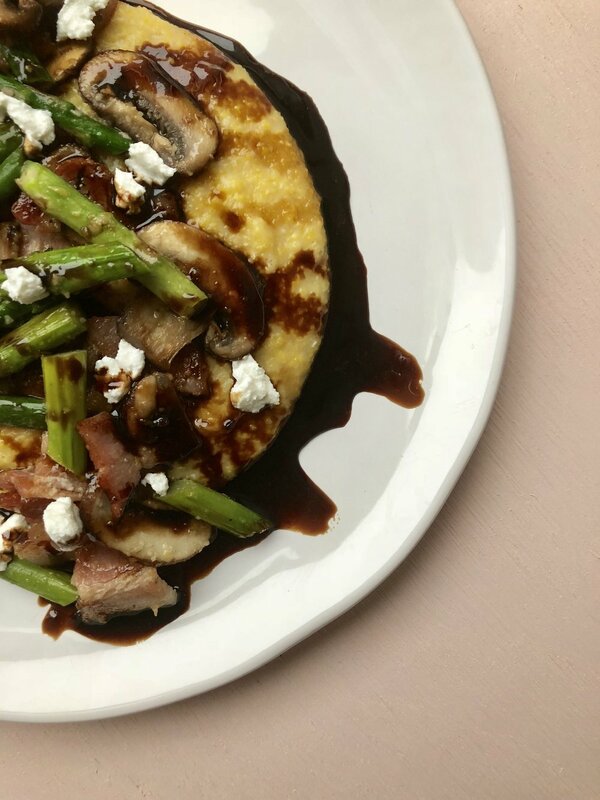 You might be looking at this plate and thinking, grits? Well yes and no. 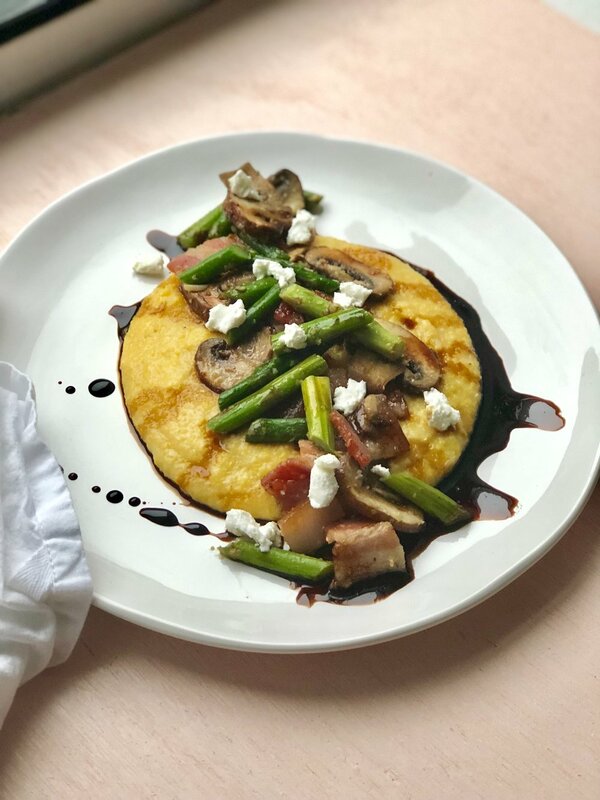 Polenta and grits are both popular dishes made of cornmeal, but polenta is always made with coarse ground cornmeal. 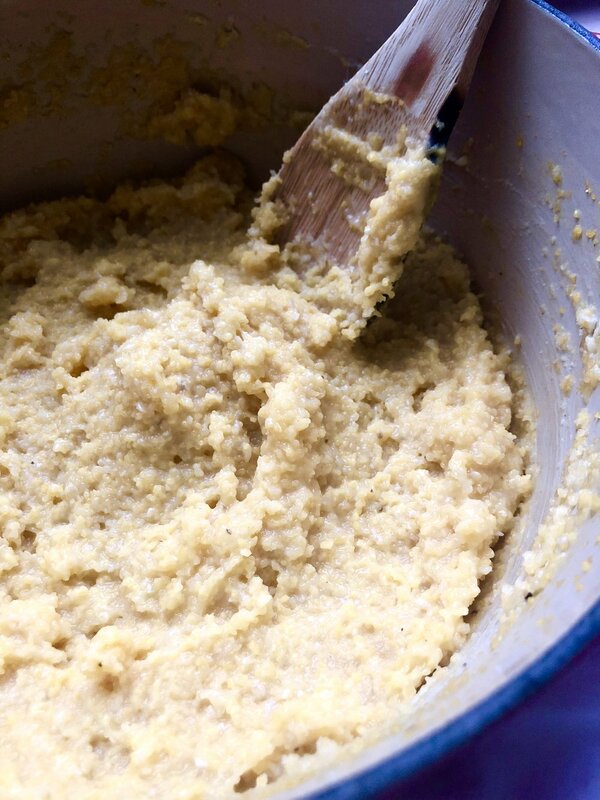 But if you’re me you als make your grits with coarse ground cornmeal. Ok, so yes, grits. 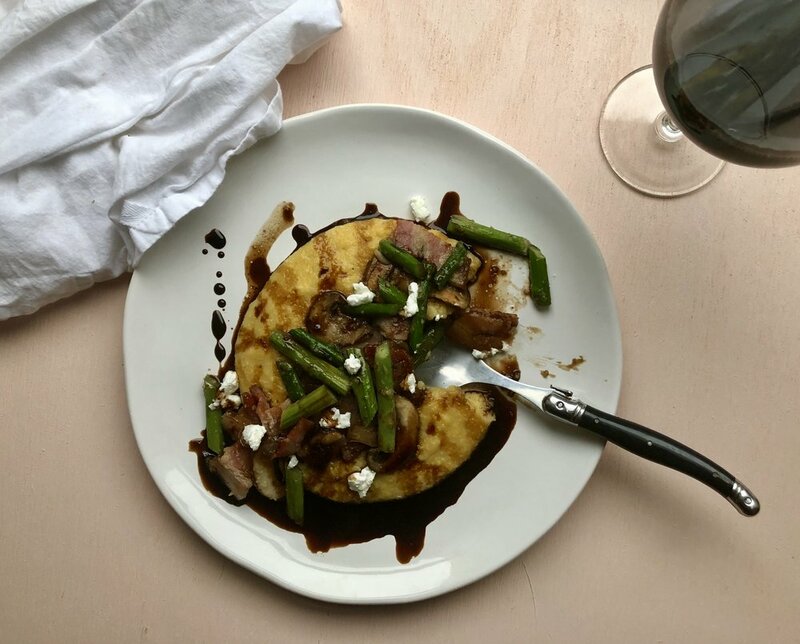 But for the sake of this being Italian-inspired, let’s say polenta. Bon appetit! To make the balsamic glaze, heat on high the sugar and balsamic vinegar, stirrring well. Take off of heat and add salt to taste. 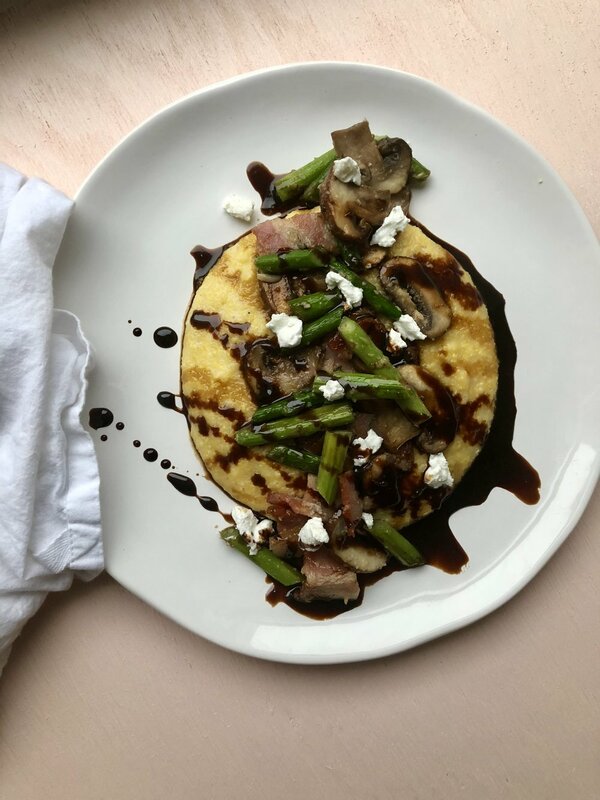 On a plate, layer the polenta, veggie and bacon mixture, glaze, and crumbled goat cheese. Enjoy.